There are many different species of Food Moths which have a habit of feasting on your stored food goods, such as cereals, rice and flour. Even though the various species can look different, and some can also feed on fabrics as well, they can all be treated in a similar manner. 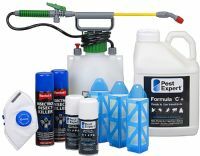 Pest Control Supplies offer numerous forms of control to eradicate Food Moth infestations and their larvae, and to help prevent further infestations. 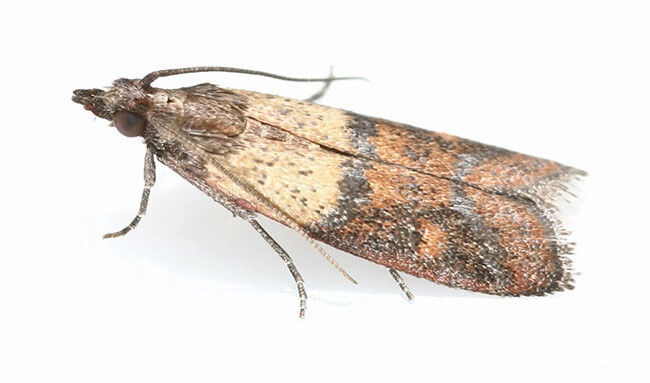 Food Moths have a habit of feasting on your stored food goods, such as cereals, rice and flour. After throwing away all infested food stuffs and thoroughly cleaning out the cupboards, sprays can be used to treat a food moth infestation. When treating in chemical sensitive areas, such as kitchens, it is important to choose sprays which contain natural insecticides which are safe to use inside your food storage cupboards. Food Moths have a habit of feasting on your stored food goods, such as cereals, rice and flour. Once discovered, all contaminated food must be thrown away and natural treatments should only be used in food preparation areas, such as traps, powders and sprays. To help you choose the right products we have created Moth Killer Kits, containing all the necessary products to control food moth or clothes moth infestations. Food Moths have a habit of feasting on your stored food goods, such as cereals, rice and flour. After throwing away all infested food stuffs, thoroughly cleaning out the cupboards, and treating the infested areas with either sprays or powders, sticky traps can be used to monitor for any new infestations and specially designed pheromone traps can help break the breeding cycle. This Food Moth Killer Kit enables you to carry out a comprehensive food moth treatment in a standard domestic kitchen, using a range of the best food moth killer products from market leaders Pest Expert including: Formula 'C+' Food Moth Spray, Formula ‘P+’ Food Moth Fogger, Rentokil Insectrol Spray and Demi Diamond Food Moth Trap. The combination of insecticides delivers a rapid knockdown of food moths and helps maintain long-lasting food moth control. Supplied with full instructions for use. This Food Moth Killer Kit enables you to carry out a comprehensive food moth treatment a commercial kitchen or food storage area, using a range of the best food moth killer products from market leaders Pest Expert and Rentokil including: Formula 'C+' Food Moth Spray, Formula ‘P+’ Food Moth Foggers, Rentokil Insectrol Spray and Demi Diamond Food Moth Traps. The combination of insecticides delivers a rapid knockdown of food moths and helps maintain long-lasting food moth control. Supplied with full instructions for use. Pest Expert Formula 'C+' Food Moth Spray kills food moths fast and leaves a residue that offers long-lasting food moth control. This ready-to-use insecticide is safe for direct application walls, kitchen units and other surfaces. A 5L container covers 100 sq m.
The Pest Expert Formula 'P+' Fogger is a total-release aerosol device for fumigating food moth infestations. 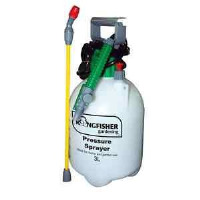 The Fogger releases an insecticidal gas which penetrates into cracks and crevices to kill food moths harbouring there. Use 1 Fogger for treating an average size domestic kitchen. Pest Expert Formula 'P' Super Fumers are food moth smoke bombs for fumigating food moth infestations. The permethrin smoke penetrates into cracks and crevices to kill food moths harbouring there. 1 Super Fumer is required to treat a standard domestic kitchen. Kills moths and other crawling and flying insects by physical means, without the use of chemicals. The Demi-Diamond is the most popular Food Moth Trap on the market. The powerful pheromone attracts male moths to the trap, where they get stuck to the adhesive, keeping moth numbers down. This pack contains 10 pheromone strips and 3 plastic holders. Each strip is effective for up to 12 weeks. Rentokil Insectrol Food Moth Killer Spray can be used as a direct knockdown spray against food moths and other flying or crawling insects. When applied directly onto insects the potent active within the Insectrol Spray achieves rapid knockdown whilst also leaving a protective barrier which helps maintain long lasting food moth control. Perfect for targeting hard-to-reach cracks and crevices where food moths may be harbouring.